At yoga class today, the instructor reminded us to be in the moment. She told us to focus on the here and now as we moved between poses and the flow of the class. I heeded her instructions but felt a sense of irony at what I was doing because each new pose today reminded me of what I had done yesterday when I had taken a killer circuit training class at the gym. All the squats, lunges and kettlebell curls I had done were making themselves known in my muscles today. It was a good kind of pain, but I found it impossible to be fully present, or so I thought. Then it happened. In one bright moment, as I moved out of a low stance, I reached my arm to stretch it out toward the ceiling and when I looked up a rich rainbow-like light streamed through the gym windows. For an instant, I felt light and happy. That moment has sustained me throughout the day, nourished me in my work and in my interactions with family and friends. Such is the power of being present. Such is the power of yoga. 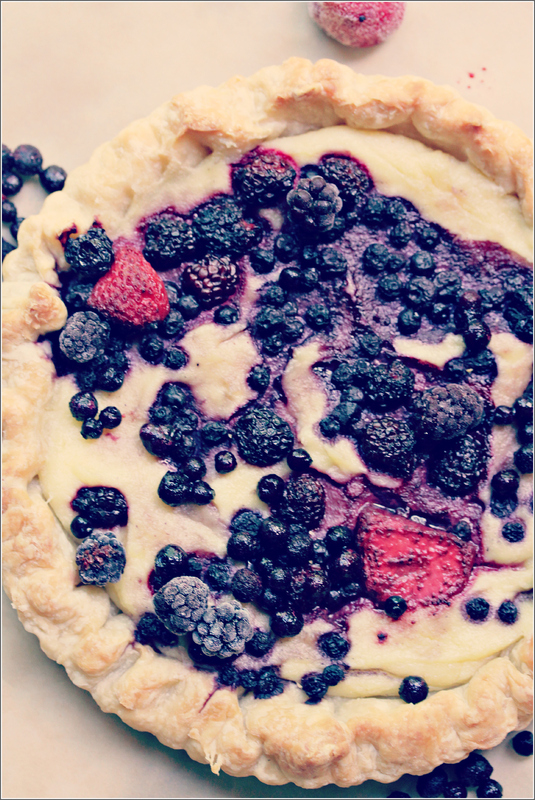 This Summer Mixed Berry and Semolina Tart is also sustaining my family. 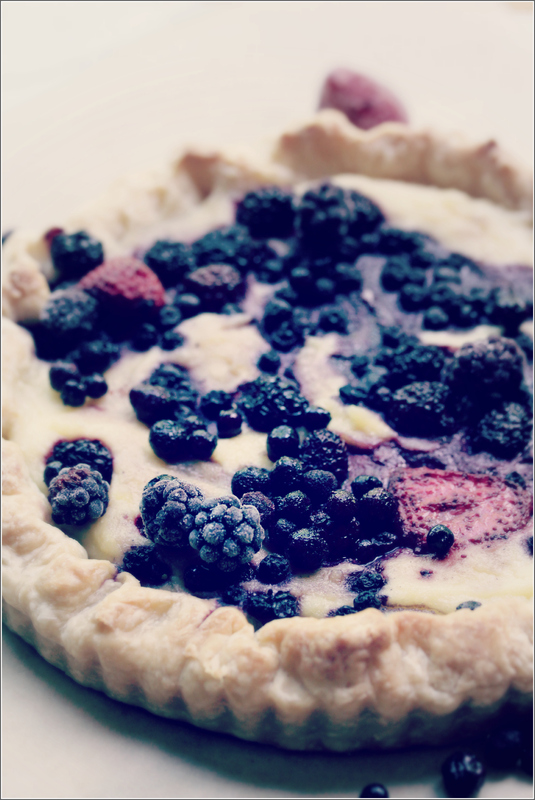 A buttermilk crust is filled with a rich custard thickened with semolina and sweetened with fresh berry juices. 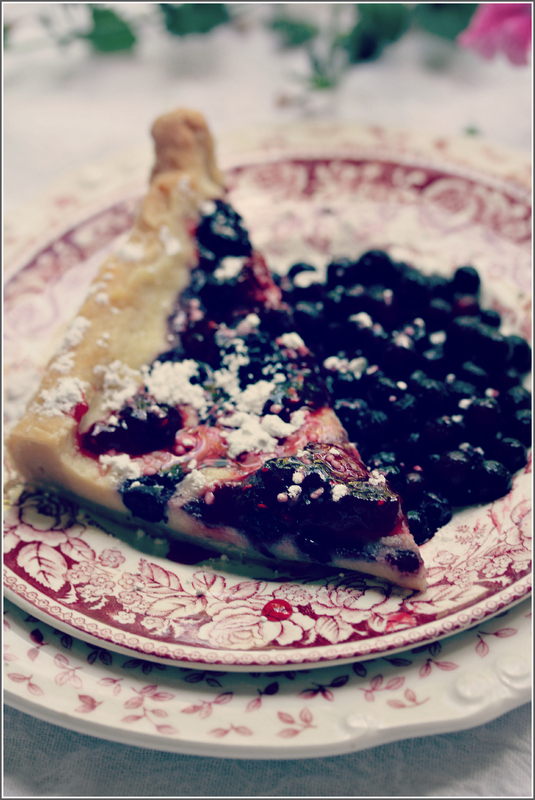 The tart was inspired by Ottolenghi, The Cookbook. I found that the amount of filling in the original recipe was a bit too much for just one tart, so I divided it between two. I’m glad I did because one of these tarts would not have been enough. We had it as part of our Father’s Day celebrations and have enjoyed it for dessert for several days. Thank goodness there is more! Note: Please watch for my next post in early July. In a large bowl, combine the flour, sugar, and salt. Add the butter and vegetable shortening. Cut them in using your hands or a pastry blender. Blend it till the mixture resembles a coarse meal the size of peas. Add the buttermilk and mix it until the mixture is just moistened. You don’t want it wet. Press the dough together and divide it in half. Wrap each piece in clear film and chill it for at least one hour, up to 24 hours. Remove one piece of pastry dough from the refrigerator. Remove the plastic film. Lightly dust a clean work surface with flour and roll the dough out until it a circle large enough to cover one tart pan and most of the sides comfortably. Carefully line the pan with the pastry dough and trim the edges. Repeat this with the second piece of pastry dough. Refrigerate both for at least one hour, up t 24 hours. Preheat oven to 325 degrees F. Cut out two pieces of parchment paper or foil large enough to cover the base and sides of the tart pans. Place them inside the pastry shells and fill with dried beans or rice so the sides of the pastry are totally supported by the beans and won’ collapse during baking. Blind bake the shell for 20 to 25 minutes, until it is very light brown. Remove from the oven and take out the beans or rice. Allow to cool while you prepare the filling. Leave the oven on. To make the filling, put the butter, cream, milk and sugar in a clean saucepan. Place the pan on the stove and bring to a boil. Let it simmer while you whisk in the semolina in a slow stream. Continue whisking until the mix comes back to a boil and thickens up like porridge. Remove from the heat and whisk in the vanilla and the egg. Pour the semolina mixture into the pastry shells and level them with a wet spatula. 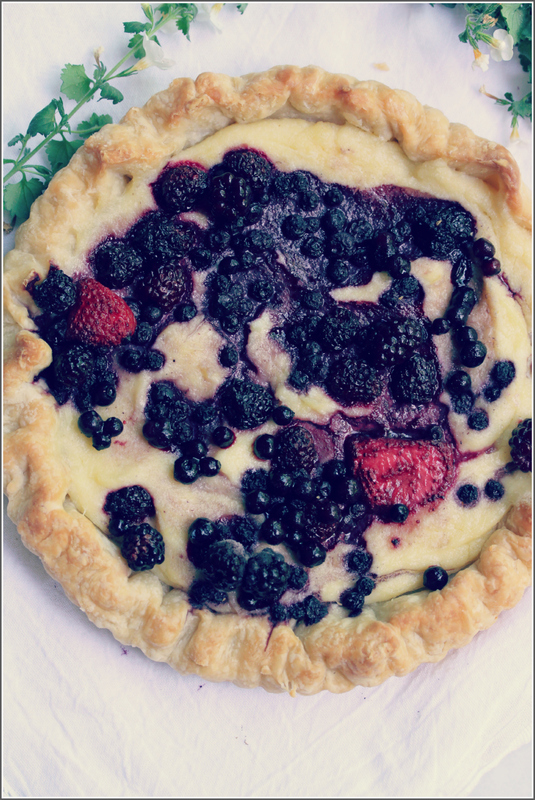 Divide the prepared berries evenly between each tart and push them gently into the semolina mixture. Place in oven and bake until the filling is slightly golden, 20 to 25 minutes. Remove the tarts from the oven and allow to cool completely before removing them from the pans. When ready to serve, dust the tarts with confectioners’ sugar. Slice into wedges and serve garnished with more fresh berries. Add a few fresh mint leaves, if you like. 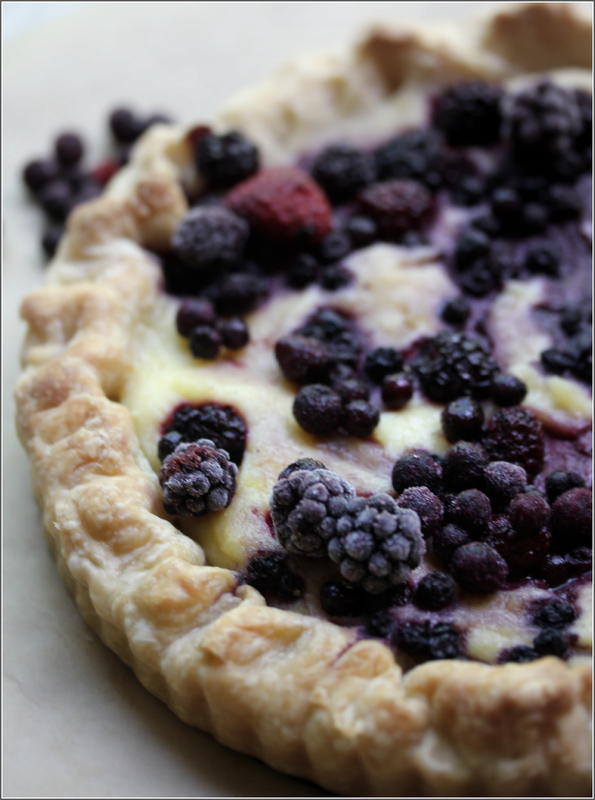 This recipe was adapted from Tate’s Bake Shop Cookbook by Kathleen King (for the pastry dough) and Ottolenghi: The Cookbook by Yotam Ottolenghi and Sami Tamimi for the semolina and berry filling.